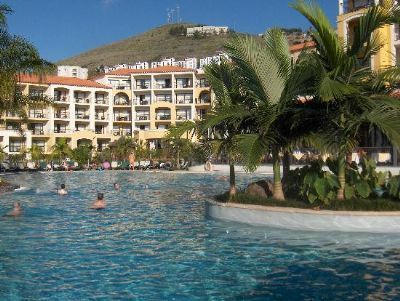 In the capital city of Funchal on spectacular Madeira Island, you’ll find the Porto Mare Residence resort timeshare, situated in the center of the Portobay Resort. Although Madeira Island is part of Portugal to the north east, it actually lies closer to the coast of romantic Morocco at Marrakesh. Here, in a lush tropical setting, more than 500 unique species of botanicals are lovingly maintained, turning the Porto Mare Residence into a garden sanctuary of vibrant color, blooming flowers, and exotic tropical and subtropical vegetation. The winding resort property unfolds along a hillside that runs down to the sea and includes three hotels, four restaurants, six bars, five breathtaking swimming pools, the Spa, and a host of ways to relax from mini golf and squash or tennis to live music and entertainment. 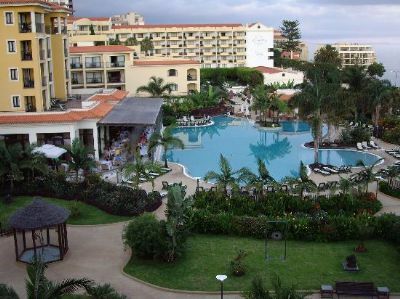 The vacation ownership residences at Porto Mare Residence are ideally located within the resort property. The seaside promenade is adjacent to the Residences, affording you easy access along a scenic stroll that connects the Lido area with Camara de Lobos and the tourist and shopping district. The resort has ninety-nine fully equipped holiday residences, and each one is meticulously and delightfully decorated and maintained. Timeshares are available in studio plans as well as one- and two-bedroom layouts. Many units afford views of the ocean, others have views of the lush subtropical gardens, and some allow you to enjoy vistas of both the sea and the land. Two-bedroom timeshares are always among the most popular with vacationing families or friends. At Porto Mare Residence, the spacious two-bedroom units sleep up to six vacationers and have air conditioning, a terrace or balcony, garden access, three televisions with cable or satellite programming, and two double beds plus a sleeper sofa. 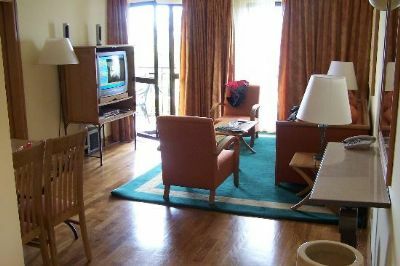 One-bedroom timeshare floor plans are designed for four vacationers and have the same features as the two-bedroom plan, with two televisions per condo, while studio layouts have one double bed and one television. All units have mini kitchens with four-burner cooktops and dishwashers in the larger floor plans and two-burner cooktops in the studios. On-property services include concierge services, conference facilities, a self-service laundry, dry cleaning services, movie rental, car rental, safe boxes in rooms, and a multi-lingual staff. 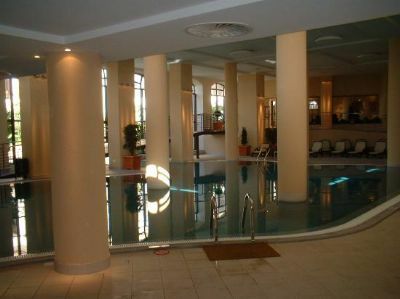 Contact Porto Mare Residence Specialist Today! Days: Saturday, Sunday, Monday / Time: 4:00 P.M.